AWESOME LAKE VIEW!!! 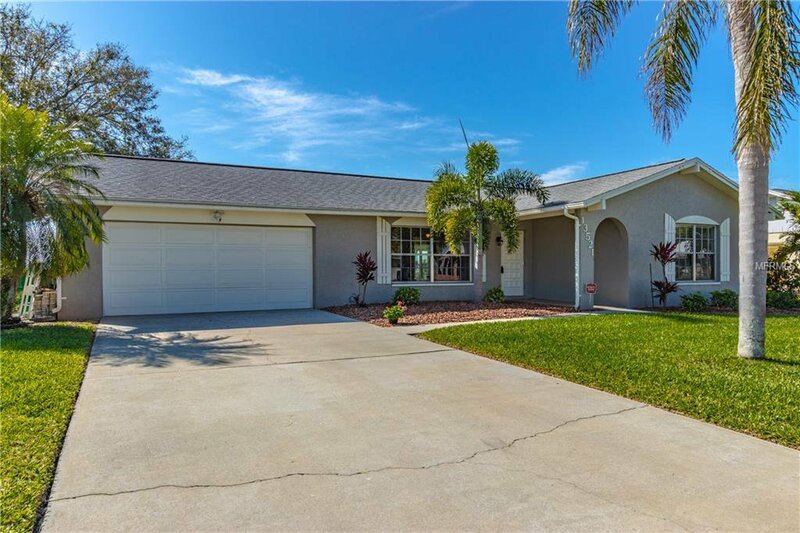 Watch spectacular sunsets from this totally remodeled home with oversized two car garage, painted inside/outside in 2016, newer AC, updated 200 amp electric panel, all newer sod replaced with (St. Augustine) in 2016, wifi enabled irrigation system from lake, paver patio, nicely landscaped with rock and six newer palm trees! Inside features include Pergo outlast laminate flooring in Living room, ceramic tile in Kitchen and Florida room. Updated Kitchen with soft close wood cabinets, granite counter tops, tile backsplash, newer stainless steel appliances including induction cooktop with convection oven! Huge Florida room under air conditioning included with heated square foot, redone fireplace, expansive lake views, with Hurricane Impact windows! Guest bath has new vanity, tile floors, fixtures and toilet. Master bath has new vanity and gorgeous shower! Smart home features wifi enabled remote for irrigation, wifi thermostat, ring security light/camera. Gardens of Gulf Cove community has two swimming pools,tennis courts,shuffleboard,clubhouse, billiards all with a low annual fee! This home has it all!! Schedule your showing today! Listing courtesy of OCEAN PARTNERS REAL ESTATE. Selling Office: PARADISE EXCLUSIVE INC.